today is the first official day of fall, and the weather really feels like autumn this morning. 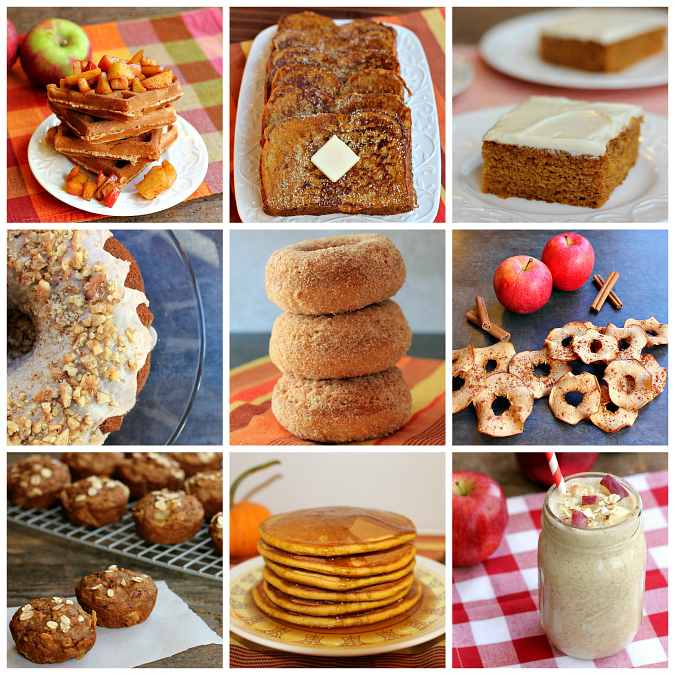 when fall rolls around i start to crave all of our favorite fall apple and pumpkin recipes. if you're looking for some inspiration in the kitchen this season, here are some of our favorite fall recipes that we have made over the last few years . . .
ps: here's how to make your own pumpkin pie spice. and of course, fall just wouldn't be complete without roasted pumpkin seeds or roasted acorn squash seeds too! I need to make apple cider donuts over the weekend.